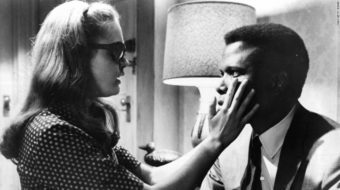 George A. Romero’s 1968 movie Night of the Living Dead was seen as one of the first subversive horror films. It used supernatural terror and monsters to challenge the status quo of not only the genre, but the wider society by bringing focus a range of socio-political themes. 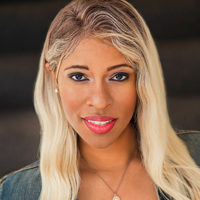 Night had strong central female leads, an African-American protagonist, and explored issues such as racism, sexism, and disillusionment with government. It was a zombie feature that, in many ways, showed the real monsters of society did not necessarily have to be the undead. Since its creation, many zombie films have been made, so many that it would be easy to deem this sub-genre of horror as overdone. Not to mention that many of the zombie movies that followed (aside from Romero’s own sequels) often lacked the depth and subversion that made his original so unique. The new Netflix original movie Cargo is one such film that attempts to follow in Romero’s legacy of depth within the sub-genre, as it offers subtle commentary on oppression, race relations, and environmental struggles set against a zombie apocalyptic backdrop. The Australian post-apocalyptic thriller film is directed by Yolanda Ramke and tells the story of a man named Andy (Martin Freeman) who is attempting to find a safe place to leave his daughter before he dies. Andy lives in a world where a virus has overtaken mankind; those that are infected turn into the undead within 48 hours and then attack, eat, and kill the living. Andy was surviving with his baby daughter, Rose, and his wife, attempting to find a safe place in Australia to settle, but tragedy strikes as Andy’s wife is infected and then turns on and infects Andy as well. Now, Andy, the protagonist, is on a race against time to find someone to give his child to before he becomes a zombie. Hence, the “cargo” referenced by the title is his daughter. Along the way, he meets a young Aboriginal girl named Thoomi (Simone Landers), who is attempting to survive the zombie threat as well. The film’s main plot is simple enough, and it gives a sense of urgency. The writers give Andy space to come across a cast of characters along his journey to get his child to safety, each one serving as some form of symbolism in the movie. The physical setting of the film is a nice change from the usual post-apocalyptic themed movies. You won’t find the typical crumbled buildings and grey skies here. With the wide shots of the beautiful Australian outback, viewers can get caught up in the pretty scenery—that is, if there wasn’t a decaying body trudging along in various shots. The characters that Andy encounters are well-played, as each one has a unique story and motivation in this new world, whether good or bad, and the actors play this believably. Most of all, without being too overt, the film interweaves the plight and struggles of the Aboriginal people of Australia into the narrative in a way that serves as a great moment of representation and diversity. There’s a sense of realism in the film that can be lacking in movies with supernatural plotlines. 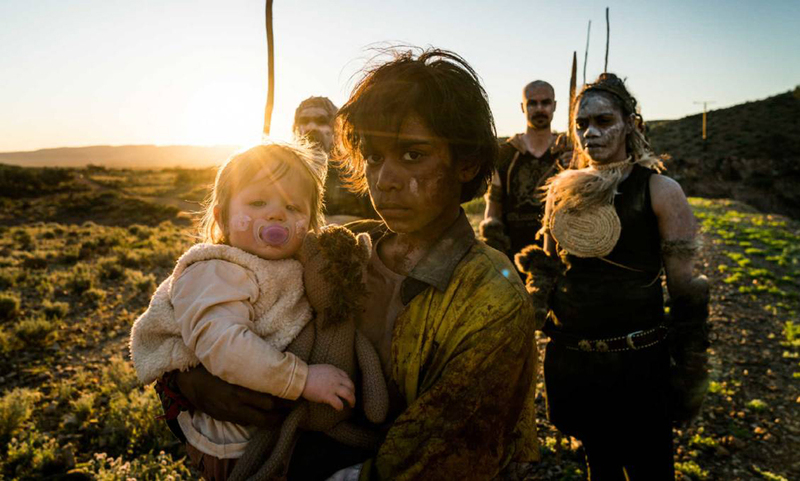 It is shown in two ways: First, in the zombie virus outbreak itself, and secondly, through some of the hardships the Aboriginal characters face. The way that people show signs of infection and eventual transformation into the undead is displayed more along the lines of a serious illness, such as cancer, seizures, dementia, and the like. The film takes the time with certain characters, such as Andy, to show these uncomfortable moments of sickness that at times resonate more than the occasional already dead zombie we see jumping out from the bushes. The government’s response, or lack thereof, to the zombie virus outbreak plays into this realism as well. Citizens have been given cute and compact infection kits that include polite-looking needles to stab yourself in the head with before the virus takes full effect. Perhaps an outbreak of the undead in our own reality is unlikely, but there have been past tales in actual history of other viruses and tragedies plaguing people where government was ineffective or failed completely in responding to the problem. The Aboriginal characters, even in the zombie apocalypse, deal with discrimination, exploitation, and a pillaging of the land they’re native to. The film touches on the question of fracking and the ‘sickness’ of the land. Some of the Aboriginal characters are targeted by white characters to be bait for the zombies, still treated as second class citizens, thus showing that some of the real fear shouldn’t be of the undead, but of the humans left behind. The indigenous population of Australia, subject to forced assimilation since the 1880s, have long dealt with exposure to real diseases that diminished their population, as well as economic marginalization and racism. They helped to lead a civil rights movement in Australia in the 1970s, which saw the rise of demands for land, property rights, and equality. In the 1990s, they gained more rights along with an increase in wages, as many Aboriginal people found themselves getting paid far less than their white counterparts for the same labor. Yet, there is still a fight for Aboriginal rights, as the history of racism and discrimination continues to hang over the people there today. Cargo shows the viewers moments of this, while also showcasing the sense of strength and perseverance of the Aboriginal people. It’s as though one of the film’s messages is that these people have already survived the dangers of insidious systemic racism and discrimination, so it should be no surprise that they are up for taking on the overt dangers of zombie, too. With all these moments of depth and subtle messaging, Cargo does offer some scares here and there. The movie doesn’t rely on jump horror, but rather uses the horror backdrop to tell a different kind of story. This aspect may leave some viewers thinking the film moves too slowly, or that it isn’t really as scary as it could be. 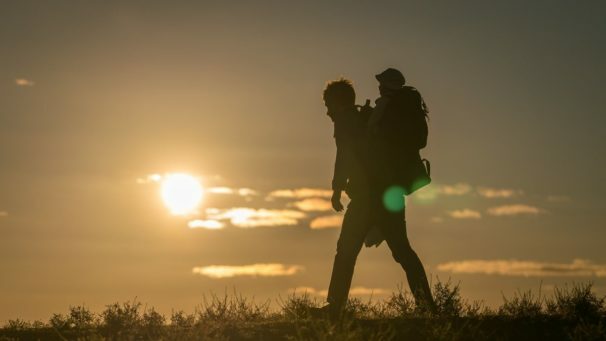 This lack of all-out terror doesn’t take away from the fact that Cargo is a well-structured movie with heavy resonating emotional moments throughout. Viewers may not walk away from the film being afraid to turn off the lights, but instead might find themselves wanting to hug a loved one or contemplating the role of government in moments of tragedy. This doesn’t make it a bad horror film, but rather a different one—and different, in a sea of similar and repetitve zombie creature features being turned out constantly, is a welcome change. Cargo is available now on the streaming service Netflix. The trailer can be viewed here.